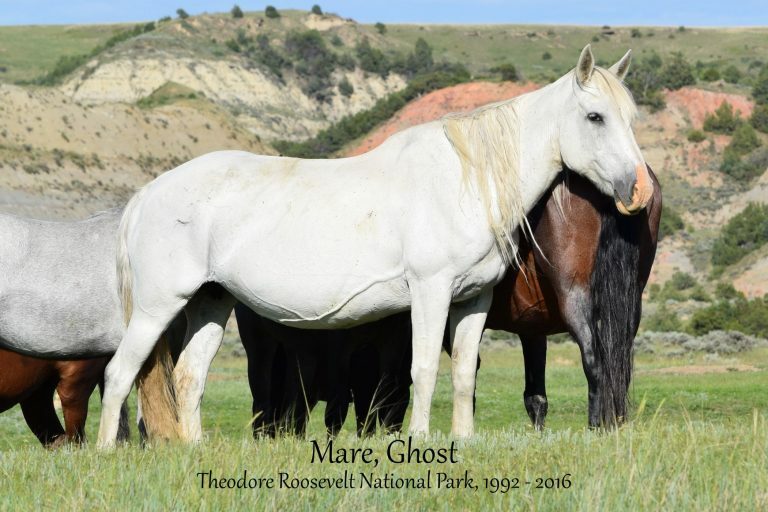 Now that all of you have your calendars, as promised, here is my story of Mare Ghost who graces the month of January in the 2019 calendar. I didn’t meet her until 2007 and hard to believe she was already 15 years old by then. I was blessed to be able to document her for 10 more years and what a blessing that’s been! I’ll never forget her and her beloved Stallion Gary and cherish all the wonderful moments I spent with them through the years. 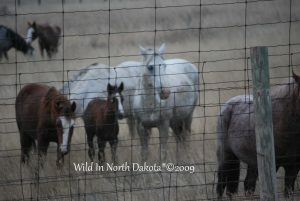 Hope you enjoy this story through my photos and understand how incredible a Mare she was in this herd! 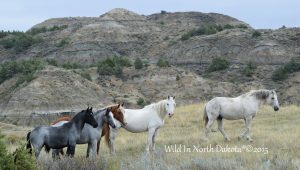 Hope you enjoy the history of this magnificent Mare who ran wild and free for 25 years in Theodore Roosevelt National Park! 2008…1992 Mare Ghost. Hard to believe she was 16 years old here! She looks fantastic! Hardy and North Dakota strong! 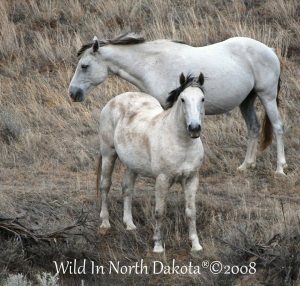 2008…Seen here with her beloved Stallion Gary. A very dirty Gary, that is! They were always together and such a fantastic team! 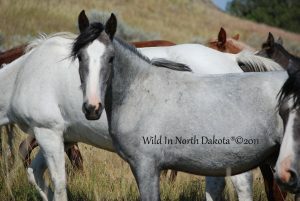 2008….This is her 2007 Filly named Nordie. 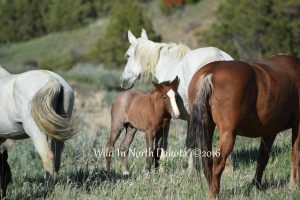 I had found them the night before the helicopters started to fly in the 2007 round up and saw that she was a brand new baby on the ground. I phoned it in to the Park and they did not run this Band the next day! She was named after my nickname of Nordie! 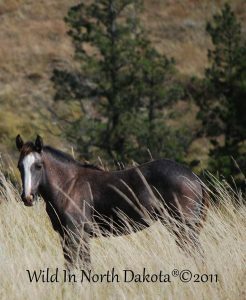 2008…This is her 2008 Colt named Slick for my husband Bill who was a Navy Fighter Pilot with the call sign of Slick. Slick the horse was sold in the 2009 auction. 2008…This is one of my all time favorite photos of this Band on the run! 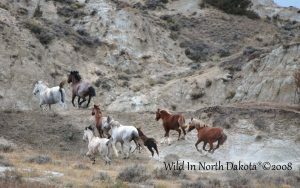 You can see Ghost there in the back with her Colt Slick on her right and Stallion Gary on her left. 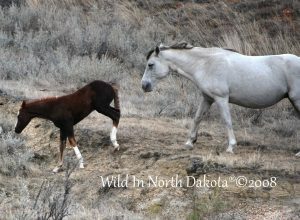 2009…Colt Slick as a yearling now and becoming a big boy like his mama! 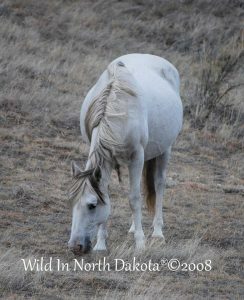 2009…Ghost’s 2009 Filly named Goblin. Goblin was born in late October and was too young to be removed from her Dam. She and Ghost were released back into the park after this capture. Colt Slick seen to the left of Goblin was sold in this sale. 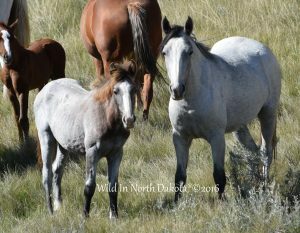 2011…now 2 year old Filly Goblin…no longer red but turning gray just like her mama Ghost. 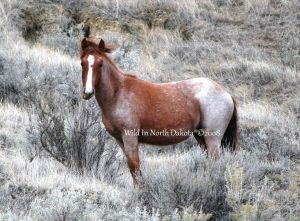 2011 Filly, Lily. What a little beauty she was and she was rounded up and sold in the 2013 sale. I believe she still calls Legacy Mustang Preservation her home on the East Coast. 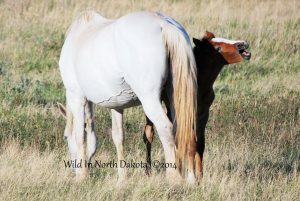 2014 Filly, Gigi…This is perhaps the most special photo I ever captured of Ghost. At this point she was 22 years old but just look how focused and strong she was! She loved all of her kids and this little darling was no exception! 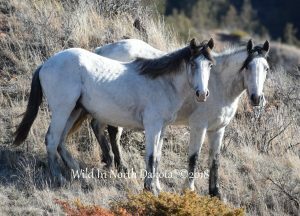 2014…Young Filly Gigi didn’t stay red for long and began to gray in her first year like so many of her brothers and sisters before her. Isn’t she just adorable?! Look at those beautiful milk veins on Ghost’s stomach! They sure provided a lot of nutrition for so many little ones through the years! Here is a random shot of Ghost within the Band in 2014. To the right in the back is Mare Blondie and in front is Mare Twister. 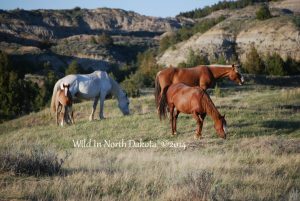 2013…Another random shot here with her fellow Mares Blondie, Twister and Rosie. Ghost was hard to get close to but through all the years, she always let me in and close enough to photograph. So grateful for such blessings through the years with her! 2015…Again with the Band with Stallion Gary in the lead. 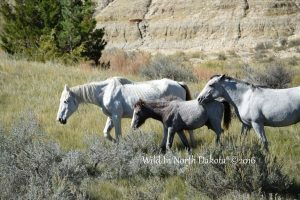 Her beautiful 2014 filly Gigi is second from the left and what a stunning beauty she was becoming! 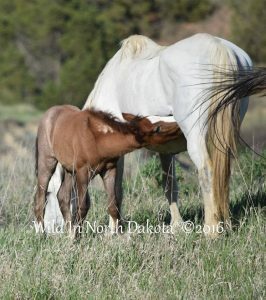 2016…Now 24 years old and just gave birth to this adorable Colt named Ghost Buster. 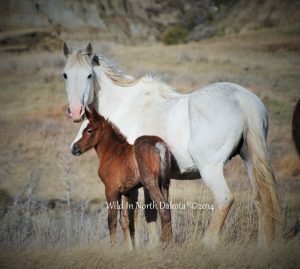 Many people were angry that she foaled so late in life but she was fiercely in love with this little guy just like all the kids that came before him. 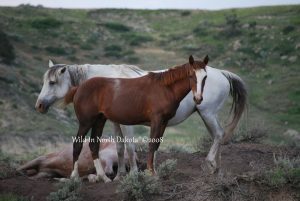 She was a wild Mare and lived her life with her beloved Stallion Gary and some really great mares. It was her life…what she knew and she rose to the occasion of caring for this little guy the best she could! 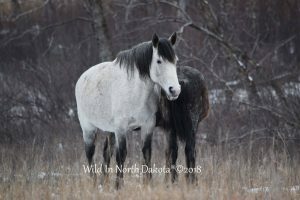 2016…You can see how thin Ghost is here but her duty was to her brand new Colt and she nursed him like she’d done so many times before. She gave him life all while compromising hers. This was the last time I spent with Ghost and Stallion Gary…seen here with Buster and Gigi. It was such an incredible day as we found them WAY off the beaten path in an area Tiffany and I had never been. When we first got to the area we thought there was no way we could actually hike to them in this rugged terrain but after carefully navigating the area, we got right to them. It was hard to see how thin she was here and we said our goodbyes to her this one last time knowing she would need much more weight on her to survive the coming winter. 2018…Here is a photo of Buster and Gigi still side by side that I took this past year. They are still together in the park today. I hope they always get to share their lives! And here is a 2018 photo of 2009 Goblin who has gone on to become a mom herself many times over now. She is a beauty just like her mama! 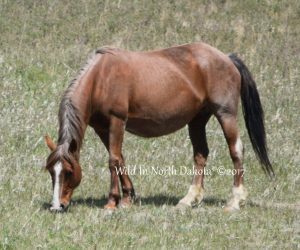 And a 2018 photo of 2007 mare Nordie who also still calls the park home and she too has had many babies through the years.